Q. Where can I get information on small and/or private companies? Type the name of a company into the search box in the upper right corner. Use the "Quick Private Company Screener" to search for companies in a certain location; industry; or with a certain amount of revenue. Under "Limit your results" scroll down to "Document Type." Then type a company name in the search box. Many private companies; including those not traded on major exchanges; file statements with their state regulators. The North American Securities Administrators Association maintains a list of these regulators. Corporate Affiliations can give you an idea of the corporate hierarchy a small or private company fits into. 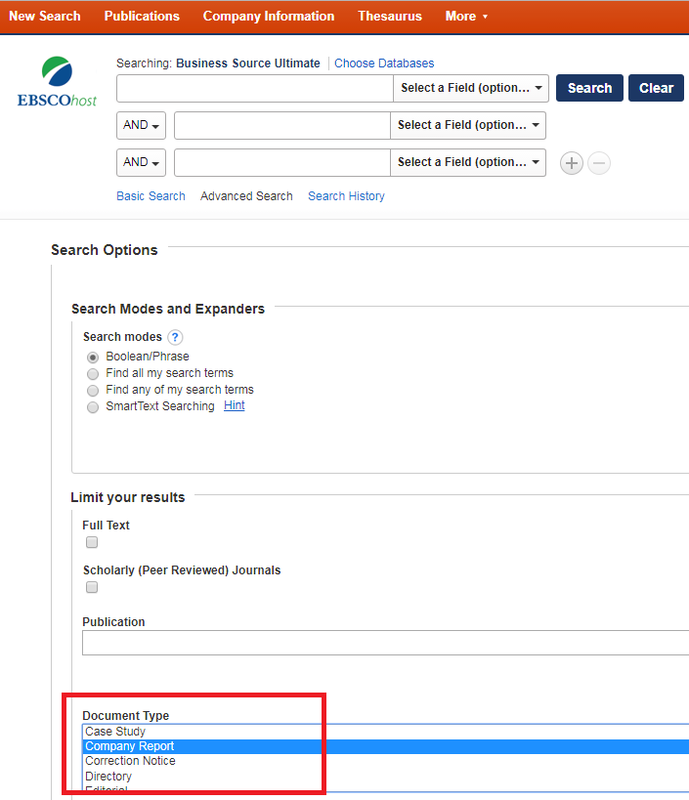 Searching for articles in databases like ABI/Inform and Business Source Complete is another good way to find information about small or private companies.